Join the discussion on our forums! 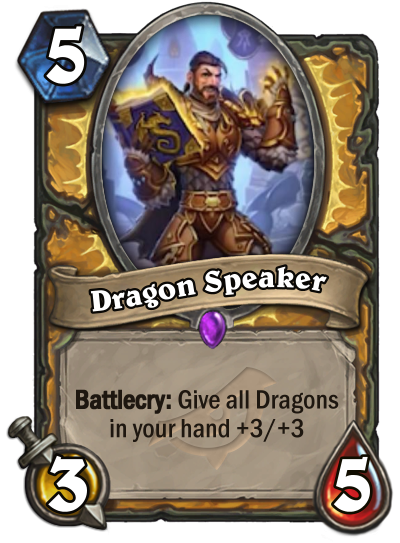 Come discuss Dragon Speaker over in our dedicated Dragon Speaker discussion topic. All of his speeches really drag on. One dragon in hand is enough. Two dragons — this card becomes OP. But hand buff is so slow... How many dragons are you expecting to have anyway... and is 7/15 that much better than 4/12 when they are using single target removal on it anyway?